The character-building qualities of our athletic program create better athletes, better students and better people. 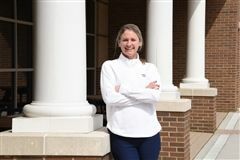 The Trinity athletics program is geared towards developing the whole person. Coaches work closely with athletes to build character traits like hard work, discipline, respect, cooperation and commitment that will benefit them in sports, academics, and beyond. 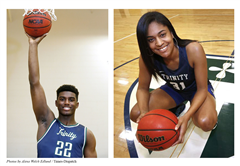 For each Trinity team, the emphasis is on personal improvement, camaraderie and the value of competition. 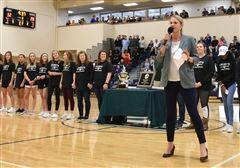 The athletics program is strong at both the junior varsity and varsity levels. 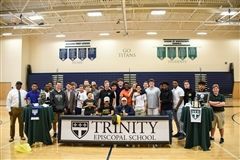 Trinity Titans consistently win state championships, Prep League and League of Independent School titles, sportsmanship awards, and coach of the year awards. Top-notch athletic facilities provide the arena for success. 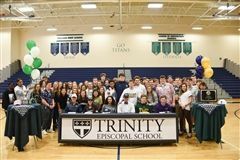 Trinity requires all of its students to earn athletic/activity participation credit for a total of six seasons during their Trinity years. 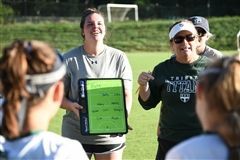 Titans can participate by playing for or managing one or more of over 40 teams in 22 sports, from field hockey and volleyball to swimming, tennis, golf, football and lacrosse. Contact information for coaches may be found on the Team Pages. Contact information is associated with the specific sport offering.